Did you know that more than 1/3 of the world’s food supply is wasted each year? This means that more than 34 million tons of food waste ends up in landfills that release harmful methane gas into the environment. With the commitment and purpose of providing environmentally sustainable and economically viable alternatives, GBG Recycling Solutions provides an innovative equipment for the processing of organic material. 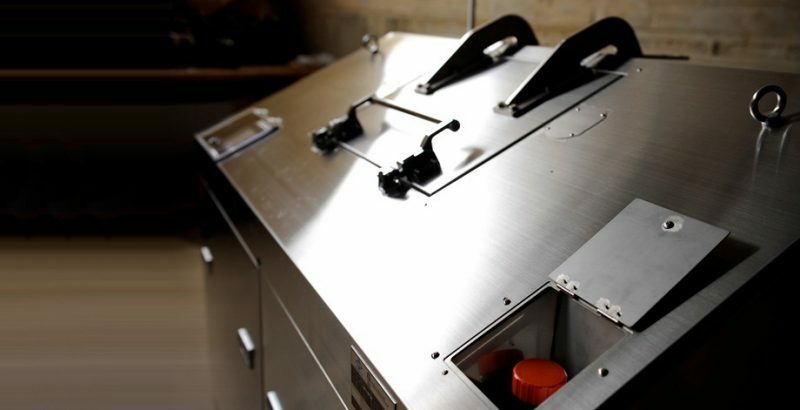 The Eco-Safe Digester® is a bio-digester, built in stainless steel, which functions as a mechanical stomach. It combines heat, moisture and oxygen, to create an environment that allows microorganisms within to break organic waste and mix it with water. This equipment is mainly used in restaurants, supermarkets, schools, hospitals and any other industry where there is considerable generation of organic material. The Eco-Safe Digester® allows for the diversion of organic material, by effectively transforming the organic material into non-potable water, which is then discharged safely through the sewage system. The Eco-Safe Digester® is safe to operate, easy to clean and does not generate pollutants for the environment. The Eco-Safe Digester® comes in three sizes according to the needs and waste generation of your company or business entity. It also has the ability to send real-time information to the cloud, making it accessible through the web on your Smartphone, Tablet or PC. This information is useful for the presentation of operational, financial and sustainability reports, in addition to complying with best practices and requirements established by law and regulatory agencies.